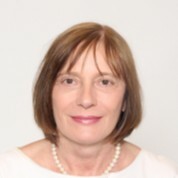 Since July 1st, 2017, Dr Marie-Paule Kieny is assuming a position of Director of Research at Institut national de la santé et de la recherche médicale (Inserm), Paris, France, where she assists the CEO in enhancing the Institute’s international institutional collaborations. Dr Kieny was elected in 2017 as Chair of the Board for two prominent global health initiatives: the Medicines Patent Pool Foundation (MPPF), which aims at increasing access to HIV, viral hepatitis C and tuberculosis treatments in low- and middle-income countries, and the Drugs for Neglected Diseases’ Initiative (DNDi), a collaborative, patients’ needs-driven, non-profit drug research and development (R&D) organization that is developing new treatments for neglected diseases. She is also a member of the Board of the Human Vaccine Project (USA) and of bioMérieux (France), a global actor in the world of in vitro diagnostics for the last 50 years. Between October 2010 and June 2017, Dr Kieny served as Assistant Director-General at the World Health Organization, with a broad portfolio covering Health Systems and Innovation. She oversaw a group of more than 400 staff, assisted by a group of 9 directors, with a budget of over US$ 115 million per year, and strived in particular towards the vision of a world where every child, man and woman can afford and has access to the quality essential medicines, vaccines and diagnostics they need to lead a healthy and productive life.